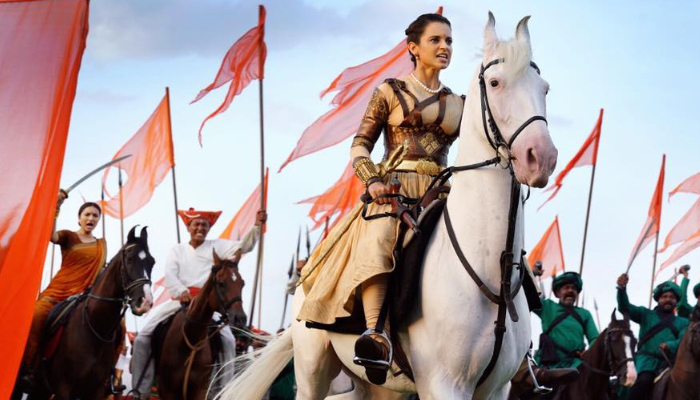 Kangana Ranaut starrer Manikarnika: The Queen of Jhasi has completed its third weekend at the box office. Just after the opening week, the movie got slowed down and now running on a low note. Being a period-drama flick, it got failed to divert major audience toward itself despite positive word of mouth. Manikarnika is also holding well at the box office due to positive word of mouth. With this, the film’s overall numbers have reached 88.45 crores. In the process, it has also gone past the lifetime numbers of Gabbar Is Back (86 crores) which too was directed by Krish, though this one has Kangana Ranaut as the director too in the credits. Starring Kangana Ranaut, Atul Kulkarni, Jisshu Sengupta, Vaibhav Tatwawaadi, Mohammed Zeeshan Ayyub and Ankita Lokhande, Manikarnika: The Queen of Jhansi collected the solid business of 61.15 crores in the opening week from 3700 Indian screens. Then in the second week too, it remained strong and minted the amount of 23.40 crores. In its third weekend, despite having several new Hindi offerings in the opposite, Manikarnika showed superb performance. With more drop than the previous day, the movie did the business of 1.25 crores on 3rd Friday. Then it took remarkable growth on 3rd Saturday and minted the amount of 2.65 crores. On the next day i.e. 3rd Sunday, Manikarnika witnessed more growth and raked the business of 3.25 crores. With this, its 17 days total collection has become 91.70 crores at the domestic box office. Post that it should find some sort of numbers trickling in for next week which would take it past the 100 crore mark.